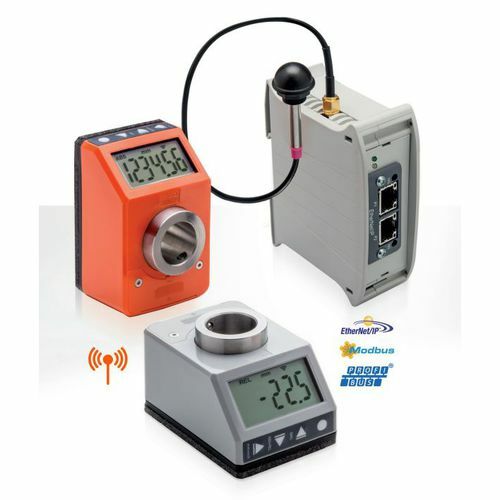 Elesa offers its DD52R-E-RF wireless spindle positioning system that enables faster and more reliable machine set up by use of a wireless connected profile controller. The profile connector displays the initial set up values on each of up to 36 electronic position indicators. The operator can then choose the appropriate menu and quickly re-set each spindle to its correct start position. The position indicators are networked to the UC-RF control unit by radio connection, facilitating an easy and quick installation. Current and target positions are transmitted by RF to and from the control unit, making machine set-up quick and simple. 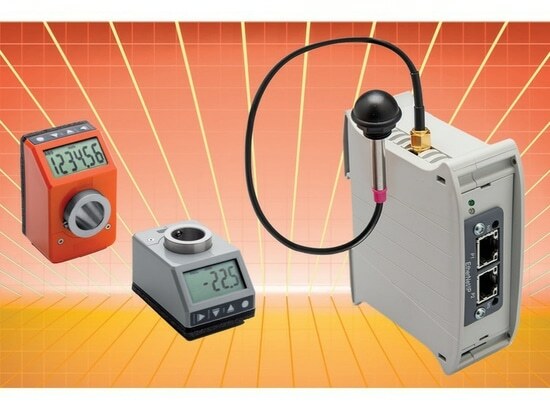 Once the set up profile has been called up by the PLC, the control unit UC-RF transmits the target position to each DD52R-E-RF position indicator. The current/target position is displayed on the LCD of the DD52R-E-RF. The operator manually sets the position of the spindles following the arrow displayed on the LCD (clockwise/counter-clockwise rotation). Once all the spindles are correctly set, the UC-RF control unit communicates to the PLC of the machine that the setup has been completed. The system prevents the start of the machine until the set-up has been completed, for safety reasons and to prevent loss of production from incorrect settings. The UC-RF controller can network with up to 36 position indicators and is compatible with PLC Interfaces: RS232, RS485, Ethernet/IP, Profibus and Modbus.